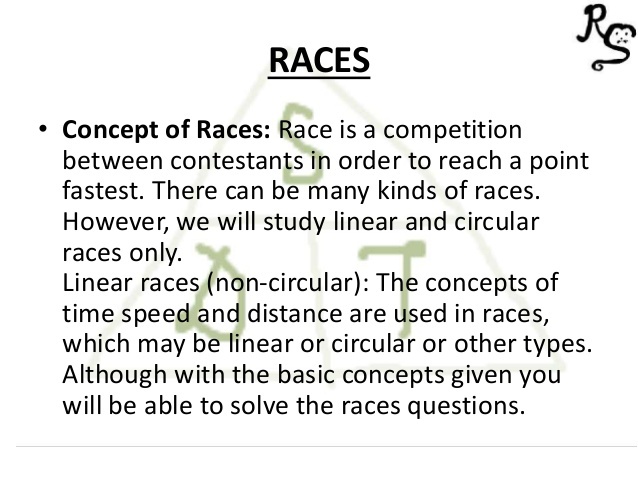 In this video we will discuss the concept of Races in the topic of Time Speed and Distance. In these types of questions we will see some statements of the following types. The race ends in a dead heat. Question 1. In a race, X beats Y by 100 meters and Y beats Z by 200 meters. By what distance did X beat Z in that race ? Question 2. In a race, X beats Y by 10 seconds, whereas Y beats Z by 20 seconds. By how many seconds did X beat Z ? Question 3. In a 1000 meter car race, Car X beats Car Y by 100 meters. Car Y beats Car Z by 50 meter in 500 meters race. If Car X beats Car Z by 300 seconds in a 2000 meter race, how long would Car Y take to travel a distance of 3000 meters ? Question 4. In a 500 meter race, the ratio of speed of two runners R1 and R2 is 3:5 . R1 has a start of 200 meters. Who wins the race and what is the distance between R1 and R2 at the finish of the race if R1 and R2 finish the race at the same time ? Question 5. In a 1500 meter race, Rohan beats Sohan by 150 meters and in the same race Sohan beats Mohan by 75 meters. By what distance does Rohan beats Mohan ? Question 6. A runs a kilometer in 4 minutes and B runs a kilometer in 4 minutes and 10 seconds. 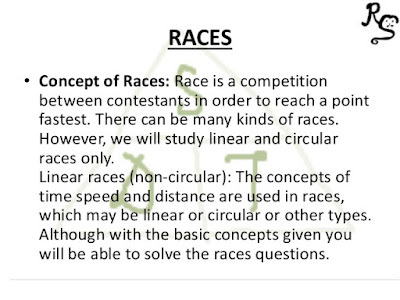 How many meters start can A give to B in a 1000 meter race so that the race may end in a dead heat ? Question 7. In a race of 600 meters, X can beat Y by 60 meters and in a race of 500 meters, Y can beat Z by 25 meters. By how many meters will X beat Z in a 400 meters race ? Question 8. In a 400 meters race, A gives B a start of 5 seconds and beats him by 15 meters. In another race of 400 meters A beats B by 50/7 seconds. Find their speeds ?